Derek H. Potts of The Potts Law Firm, LLP, appeared at a January hearing in Miami on behalf of plaintiffs to successfully argue for creation of multidistrict litigation cases against three transvaginal mesh manufacturers. Now, a hearing is set for April 13. The upcoming hearing should help us to continue to move forward with these cases and seek assistance for these deserving women and their families. The U.S. 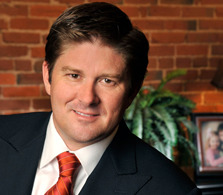 Judicial Panel on Multidistrict Litigation recently granted motions by Kansas City defective medical device attorney Derek H. Potts and his colleagues to create multidistrict litigation cases against three transvaginal mesh companies and transfer the MDLs to the U.S. District Court for the Southern District of West Virginia. Up next: Chief Judge Joseph R. Goodwin will hold an April 13 hearing to consider what attorneys will be appointed to serve as lead counsel for the plaintiffs in the consolidated transvaginal mesh lawsuits. “We are very pleased that the JPML sustained our motion and created our three MDLs so centralized management of all these products case could occur in the Southern District of West Virginia,” said Potts, founder and managing partner of The Potts Law Firm, LLP. “The upcoming hearing should help us to continue to move forward with these cases and seek assistance for these deserving women and their families,” he said. The recent JPML order created MDLs against American Medical Systems, Inc. (MDL No. 2325), Boston Scientific Corp. (MDL No. 2326) and Ethicon, Inc. (MDL No. 2327). Those cases involve lawsuits filed in federal courts across the country by women who claim to have suffered injuries after being implanted with vaginal mesh products for the treatment of pelvic organ prolapse (POP) and / or stress urinary incontinence (SUI). Centralizing the litigation in the Southern District of West Virginia will make the pretrial proceedings more efficient, conserve judicial resources and avoid the risk of inconsistent rulings, The Potts Law Firm and others argued in motions filed last November. Since 2010, Judge Goodwin has also been overseeing the MDL against another transvaginal mesh manufacturer, C.R. Bard, Inc. (In re Avaulta Pelvic Support Systems Product Liability Litigation, MDL No. 2187). “The panel’s order helps to ensure a proper and manageable hearing of the plaintiffs’ complaints in a matter that poses serious national public health concerns,” Potts said. Transvaginal mesh devices are generally implanted in a woman’s pelvic region to reinforce the vaginal wall for POP repair and to support the urethra or bladder neck for SUI treatment. The Food and Drug Administration (FDA), said in a July 2011 safety communication that it had received 2,874 reports of complications associated with transvaginal mesh devices used to treat POP and SUI between 2008 and 2010, representing a significant increase in adverse reports. According to the FDA, vaginal mesh erosion and protrusion of the mesh through the vaginal wall are the most commonly reported complications. The FDA also has received reports of pain, infection, bleeding, emotional problems, vaginal scarring and shrinkage. The Potts Law Firm, LLP is a Kansas City-headquartered national law firm that represents plaintiffs in complex civil litigation and MDLs that involve defective medical devices and dangerous pharmaceuticals. Potts, a veteran defective medical devices attorney, is also the plaintiffs’ liaison counsel and co-lead counsel for the In Re Mentor Corp. ObTape Transobturator Sling Products Liability Litigation (MDL No. 2004). That MDL is in the U.S. District Court for the Middle District of Georgia. Previously, Potts served as a member of the Plaintiffs’ Steering Committee in the In Re Kugel Mesh Hernia Patch Products Liability Litigation (MDL Docket No. 07-1842-ML) in the U.S. District Court for the District of Rhode Island. After being a part of the trial team of the first Kugel bellwether cases, Potts led the resolution of nearly 500 cases in the MDL. The cases involved a hernia mesh product made of material similar to the transvaginal mesh products. Founded in 2002 by Derek Potts, Potts Law Firm, LLP, is based in Kansas City, Missouri, and committed to aggressively representing those who have been wronged by the negligence, misconduct, or fraud of others from coast to coast. The firm’s practice areas include: Aviation, birth injuries, car accidents, class action, consumer protection, dangerous drugs and devices, environmental and toxic exposure, medical malpractice, motorcycle accidents, wrongful death, nursing home neglect, securities litigation, unfair business practices and truck accidents. For more information, call the firm toll-free at (866) 311-2230 or use its online form.